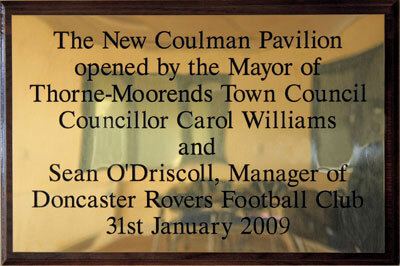 Opening of the New Coulman Pavilion on Saturday 31st January 2009 by the Mayor of Thorne and Moorends Cllr. 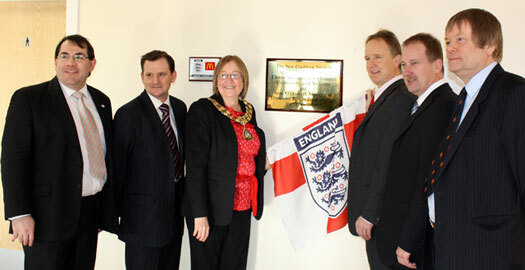 Carol Williams and Sean O'Driscoll, Manager of Doncaster Rovers FC. John Stewart - Secretary, Moorends Hornets and Stingers JFC (right). Councillor Martin Williams (Leader of Thorne-Moorends Town Council and DMBC Councillor). 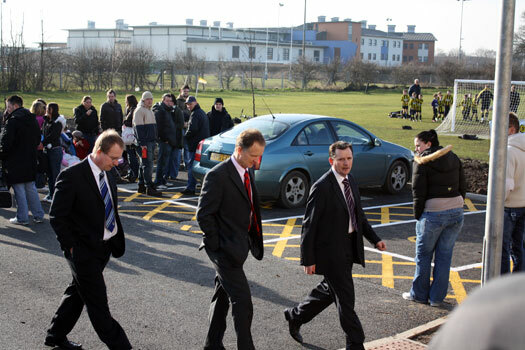 Dave Morris - Chief Executive Doncaster Rovers FC, Trevor Todd. Moorends Hornets and Stingers JFC Team Managers with Mrs Todd. Left to right Cllr. 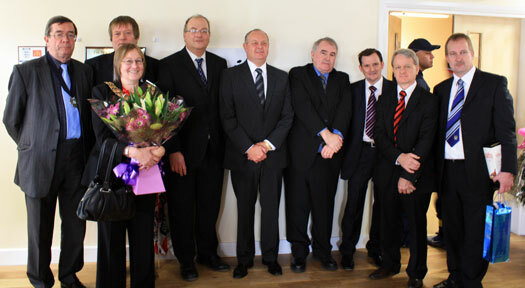 Carol Williams, Sean O'Driscoll, John Stewart, Trevor Todd with a group of players. Mayor of Thorne and Moorends Councillor Carol Williams with a group of players. 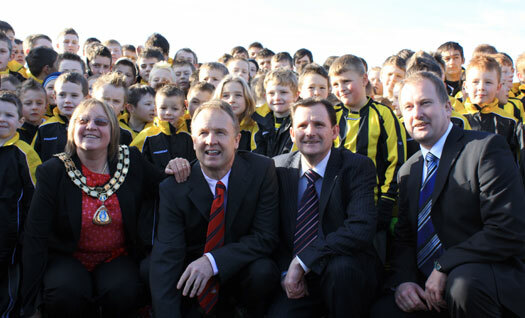 Sean O'Driscoll with a group of players from Moorends Hornets and Stingers JFC.